For the first time in months it was possible to go outside in short sleeves without breathing in and holding your arms close to your chest this afternoon. The sun was out and there was a faint, but noticeable, whiff of spring in the air. Perhaps it is something to do with the weather or the crocuses and evocative daffodils that are bursting through the earth that was frozen just two short weeks ago, but when I saw these lemons in the fridge, I felt that they needed to be celebrated. 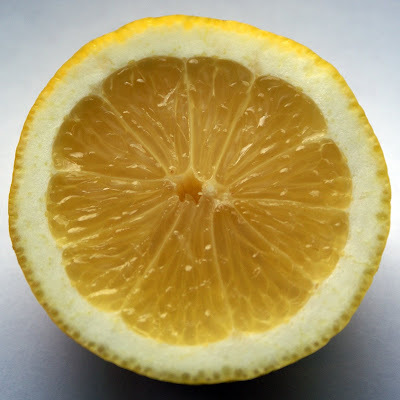 Along with limes, oranges and grapefruits, lemons belong to the genus Citrus. They grow in temperate climes throughout the world and are characterised by their sharp flavour, one of the reasons they’ve become so useful to chefs from many culinary backgrounds. Little is known of the exact etymology of the lemon but it is likely that it was first domesticated on the Indian sub-continent. It was probably introduced to Europe through Italy, from the Middle East. 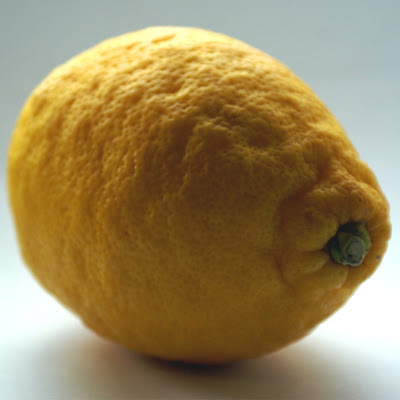 Arabic influence during the 11th and 12th centuries CE further spread the use of the lemon throughout the Mediterranean and by the 15th century it was being widely cultivated in Italy and southern Europe. Once the Americas were being colonised, the warm climates of the South East and the western seaboard were found to be ideal for the cultivation of citrus fruits – something that continues to this day. The lemon forms a central part in much Middle Eastern and North African cooking – preserved and pickled lemons are used throughout the region to add flavour and acidity to a wide range of dishes. Lemon has long been served with fish – the acid helps to bring out the flavours and cut through the richness of some fish, like salmon. They can also be excellent squeezed over grilled meats: Greek lamb kebabs can really be pepped up with a hint of lemon juice. The classic Italian recipe, steak Florentine also calls for lemon juice. Simply rub your steaks with a little garlic, season with salt and pepper and fry them in a little olive oil and butter over a high heat until they are done to your taste (screaming rare, please). Remove them to a warm plate, squeeze over the juice of half a lemon and let them rest for five minutes. Slice and serve with salad and boiled potatoes drizzled with the resting juices from the meat. 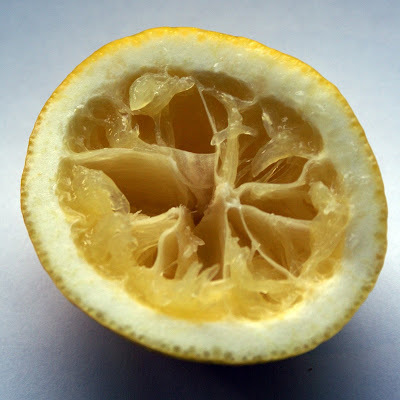 They may be a great culinary ingredient but, much like last week, it is in the drinks region when lemons really shine. A gin & tonic would be unthinkable without a generous wedge of lemon floating amidst the ice cubes and many a cocktail would look naked without a round disc of lemon adoring the glass like a tiny sun. My absolute favourite us of lemon, however, is in a whisky sour. This is a cocktail that tastes great as an aperitif and just as good, if not better, at ‘round midnight. You can make this as sweet or as sour as you like. Personally, I like it best when it’s sharper than a samurai’s sword and makes you purse your lips until they disappear. Shake two parts whisky (the cheap stuff is fine. Don’t go using the finest single malt here) with an equal amount of freshly squeezed lemon juice and one part sugar syrup. Don’t forget the ice. Strain into a short glass (ice optional here but not recommended) and garnish with a maraschino cherry. This is what Elysium tastes like. 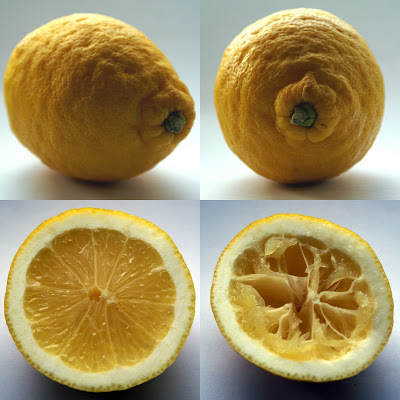 Just some quick pointers to remember when you’re buying lemons – don’t get them waxed, or else you won’t be able to use the zest. They shouldn’t be shiny, round and perfect. They should be large, uneven and nobbly. 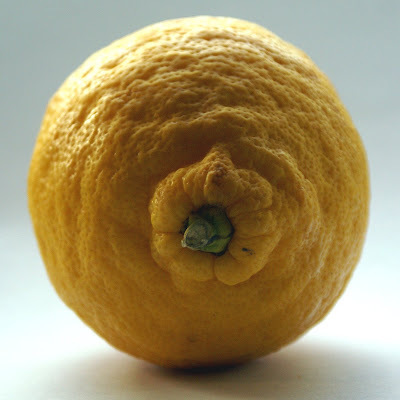 You want a lemon that’s seen some action and some sun. Finally, before squeezing, ten seconds in the microwave should help you extract as much juice as possible. I love lemons, I always have some in. Real honey and lemon to drink in the winter when ill, and lemon drizzle cake and lemon posset are 2 of my favourite desserts. I have to disagree on the G&T, I much prefer mine with a wedge of lime! Sippity Sup - acid is an underused flavour enhancer. I look forward to reading it.